WASHINGTON - Following the recent reintroduction of the Freedom to Travel to Cuba Act by a bipartisan group of US senators, a similar bipartisan coalition of senators has introduced legislation – The Freedom to Export to Cuba Act of 2017 – to eliminate legal barriers for Americans doing business in Cuba. 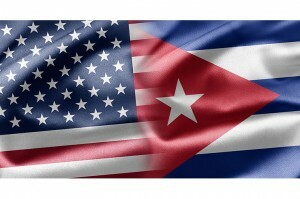 Republican senators Mike Enzi and Jeff Flake, along with their Democratic colleagues Amy Klobuchar and Patrick Leahy, led the bipartisan coalition of lawmakers who introduced the legislation to lift the Cuban trade embargo. The proposed legislation repeals key provisions of previous laws that block Americans from doing business in Cuba, but does not repeal portions of law that address human rights or property claims against the Cuban government. Cuba relies on agriculture imports to feed the 11 million people who live there and the 3.5 million tourists who visit each year. This represents a $2 billion opportunity for American farmers annually. The Freedom to Export to Cuba Act of 2017 repeals the original 1961 authorization for establishing the trade embargo; subsequent laws that required enforcement of the embargo; and other restrictive statutes that prohibit transactions between US-owned or controlled firms and Cuba, and limitations on direct shipping between US and Cuban ports.